When measuring blood pressure, doctors normally use a blood pressure cuff. However, if you want to measure blood pressure inside someone’s heart or lungs, the process becomes more complicated. In that case, the doctor will use a process called catheterization, where a tiny probe is threaded through a blood vessel in the arm, groin or neck all the way to the organ. This invasive procedure must be done in a hospital with sedation, and involves risks, including stroke, heart attack, infection or bleeding. Now, researchers from UC San Diego has developed a wearable ultrasound patch that can non-invasively monitor blood pressure in arteries far beneath the skin. The patch could monitor patients with heart or lung diseases or other problems in real-time without any risky procedures. It could also potentially help detect cardiovascular problems earlier than traditional monitoring methods. 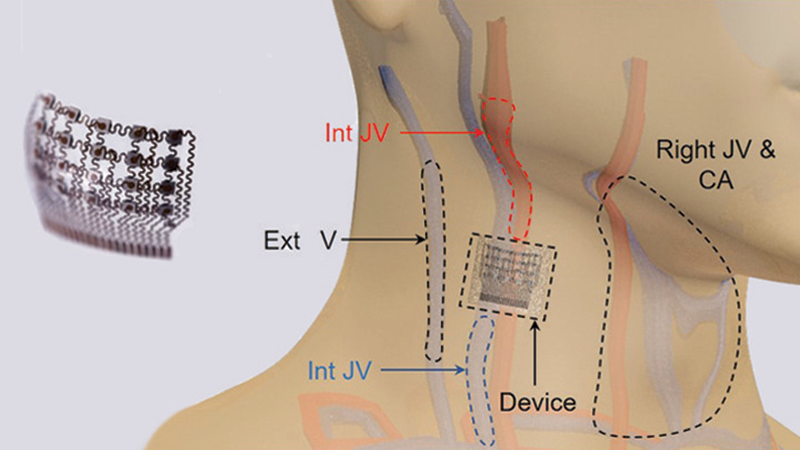 As described recently in Nature Biomedical Engineering, when worn on the neck, this small patch measures blood pressure way down in the central arteries and veins more than an inch beneath the skin. 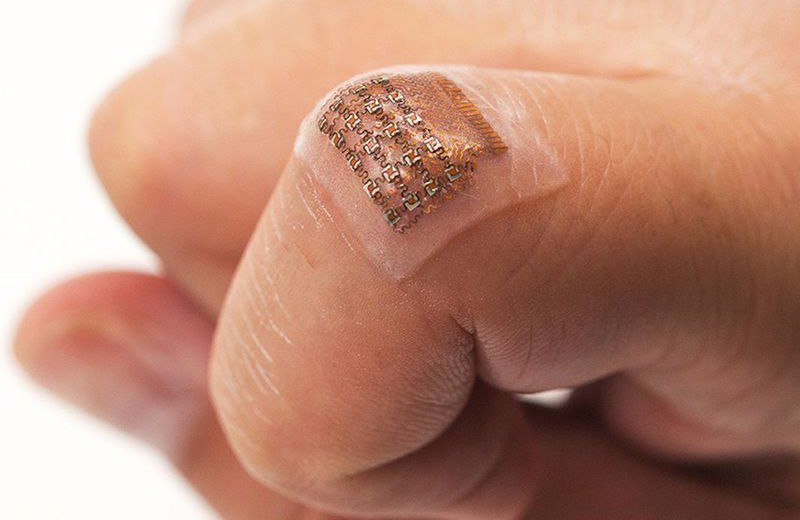 The patch works by emitting continuous ultrasound waves that monitor subtle, real-time changes in the shape and size of pulsing blood vessels, which indicate rises or drops in pressure. Then there is the customized software. It allows continuous monitoring of central blood pressure based on the ultrasound readout. Each peak and valley reading in the blood pressure real-time measurement, called a waveform, represents the heart’s normal activity. Any hiccup in the blood pressure waveform can be used to indicate a problem, such as an irregular heartbeat or impending heart failure. The researchers have already tested the patch while worn on the wrist, forearm, neck, and foot. It was also tried during exercise and rest. So far, the new device appears to function better than any commercially available, non-invasive device for measuring central blood pressure. Related Livongo Announces First Blood Pressure Monitor with Cellular Connectivity in U.S.
To measure central blood pressure, the device must be hooked up to external wires. But the team envision a wireless device in the future, where a power source and data processing units will be fully integrated into the patch. They hope that one day soon their device will offer round-the-clock monitoring of central blood pressure. That could completely change the way hypertension is managed.